The car is a series one from 1956 it was entered in the 56 Sebring race Bought by Briggs swift Cunningham for Colin Chapman and Len Bastrup to drive Bastrup rolled the car in practice. I don't know about the diff-although I do know that Stirling (note spelling) Moss did not win Sebring in a Austin Healey-he took third in 1954 (I think). 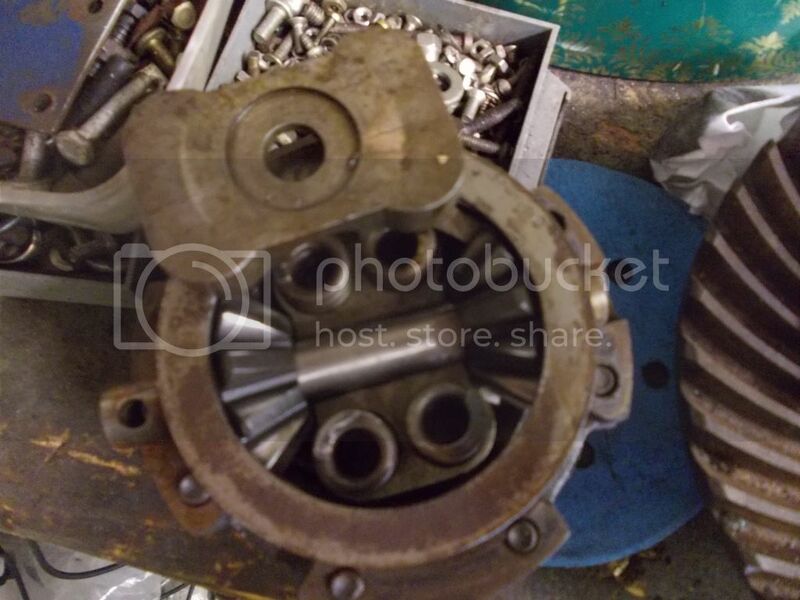 If you need an original close ratio, straight cut gear set for your Eleven I have one with the modified casing to fit to an angled FWA-it came out of an Eleven I believe and is one of the sets made by ELVA afaik. PM me if interested. Stirling Moss and Lance Macklin finished 6th overall and won their class with the Austin Healey in 1955. He had won the race in 1954 with an OSCA shared with Bill Lloyd. Thanks for pointing out the typo my eleven has a 1500cc so it ran a close ratio MGA box. I am slightly confused here. What diff is it? A90/Healey/ J Van or B series BMC? I feel both had LSDs available in later years for MGBs or big Healeys. Both of which came with a fair array of ratios. The A90 diff had 3.9 or 4.1 and J Vans were 5.6 and I have seen a new set of 6.1 gears advertised on Ebay in recent times with a tiny pinion. I use these diffs in my Classic Speedway Supermodified though they are welded. Using second gear on a Holden 3 speed I get 6.5 or 6.88. Many of the V8 super mods or stockrods ran 5.6 though the pinion gear is too small to me. Though they seldom break and if so it is usually hitting a wall or another car with the wheels. The axles were they are turned into the 'hats' at the end and sometimes break there. And we are talking 500+ horse power! When decades ago I used to go to the street drags there was an A90 running with a strong LS7 454 Chev. He was gentle on it off the line but it was a low 11 sec car. This early 70s. Ratios I know of are 3.5 from Wolsley, 3.9 and 4.1 for A 90s and or Morris Isis. 5.6 normal for J van. The 6.1? Who knows. MGBs had ratios from about 3.5 to mid 4.1s. Edited by Lee Nicolle, 10 February 2019 - 02:20. I use these diffs in my Classic Speedway Supermodified though they are welded. 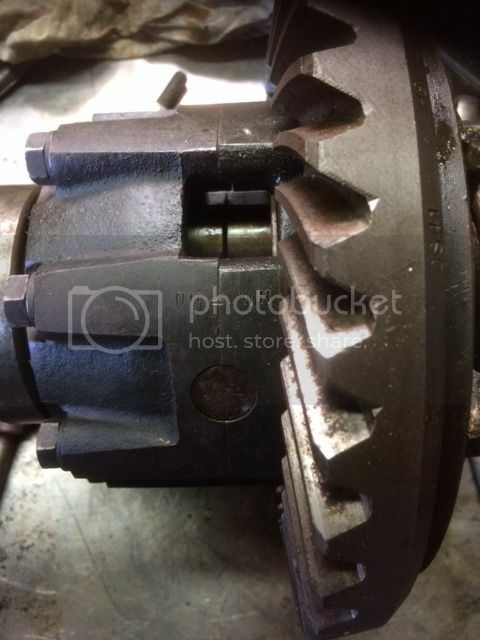 Using second gear on a Holden 3 speed I get 6.5 or 6.88. Many of the V8 super mods or stockrods ran 5.6 though the pinion gear is too small to me. Though they seldom break and if so it is usually hitting a wall or another car with the wheels. And we are talking 500+ horse power! When decades ago I used to go to the street drags there was an A90 running with a strong 454 Chev. He was gentle on it on the line but it was a low 11 sec car. This early 70s. my eleven has a Detroit Locker in the diff. Not sure of the originality but that type seems to have been around for some years. Looking on google images there are similarities with yours. Could it be a Salisbury unit? To me it appears to the A90. 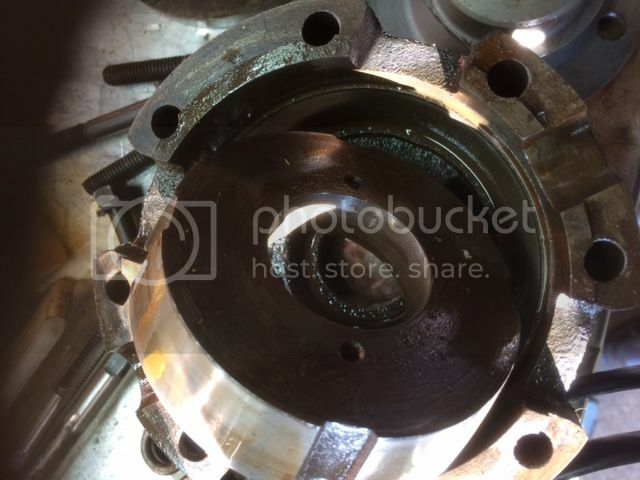 Healey diff. I suspect for info and parts the place to go is a Healey specialist. I doubt any 50s cars used them so near certain an aftermarket item. Though I know there is all sorts of items available now for those diffs as spme people are very serious racing them. The MGB style also find a MG specialist. The MGC used the A90 style diff as well. V8s too maybe? Jon I would urge you to get rid of that Detroit locker! They were never intended for a vehicle as light as a Lotus Eleven and will cause very sudden snap oversteer - usually mid corner. The Detroit Locker may work in a dragster but it has no place in a light road race car. You're right, although I don't race my Eleven it can be bloody horrible on the road. I've got another diff to swap over it's just a matter of finding the time to do it. Thank you everyone for your comments the LSD diff was fitted in 1956 it is documented in the history i have researched over the years. Mostly due to the internet i might add. 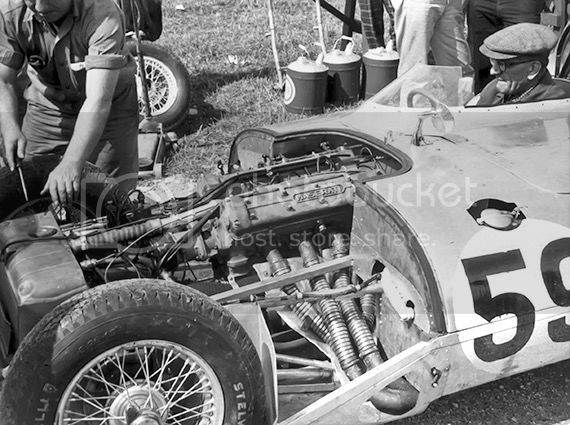 There is a picture from 56 Sebring as the car was upside down and you can plainly see a large air scoop on the floor pan under the diff to cool the unit. Looks to me like a stock carrier, they put 4 springs and 2 plates that press out against the side gears to get some resistance. We’ve done that here, we call it a semi-posi it works better than nothing. Edited by andybrad, 24 February 2019 - 17:27. This is a cone style posi, Auburn style lsd. The one cone looks good, has the other bottomed out? The cone I can see the surface looks good and smooth as dose the housing. If the cones have not bottomed out, try to measure how much space there is before it bottoms out. Assemble the complete unit with plastascene or dum-dum on the back of the cone. Take it apart and see the thickness, the thicker it is the more life is left. 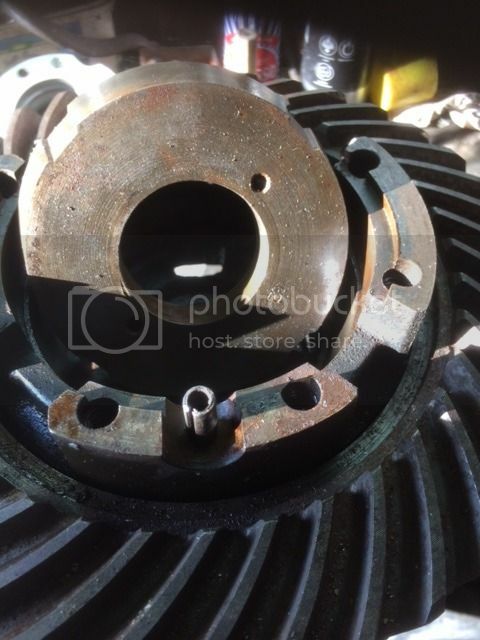 The back of the cones can be machined if necessary but the springs or spring plates will need to be shimmed by at least as much as has been removed from the cones. Get me some better pictures, so we can proceed. Auburn took over the Borg-Warner design about 1975 or so IIRC. Personally I hate Detroits as they bang and clunk as they lock unlock all the time. And in many cases snap axles doing so. As for drags,,, they use a spool of some sort. As should most race cars. Edited by Lee Nicolle, 24 February 2019 - 23:10. I think i shall just put this diff away for posterity and run a STD. A good result for me thank you all for the information.